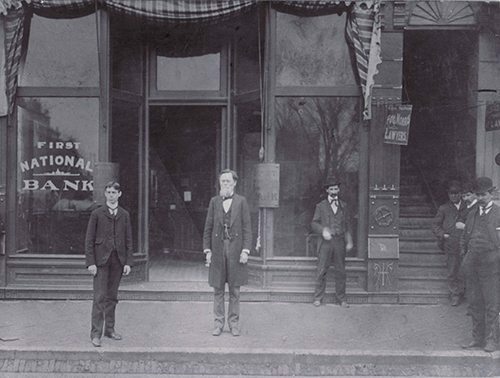 In the heart of the Jackson Purchase in May of 1875, FNB Bank, Inc. was founded as the First National Bank of Mayfield with a capitalization of $100,000. The Bank was established by Major Henry S. Hale, who became the first Bank president. Succeeding Major Hale as presidents were D. B. Stanfield, Ed Gardner, C.C. Wyatt, C.V. Morgan, E.A. Ross, Frederick D. Blume, Ted Hudson, Jeff McDaniels and currently Marty Nichols.